With this best voice recorder, one PC and headphone is more than enough for your home recording studio. If you are browsing online for a voice recorder on the Internet, then look no more. This voice recording software is not just a regular program for recording audio plainly. It will handle your tasks beautifully and the result will be even better than you can imagine. Today, Voice Changer TV will give you some tips and instruction on using Voice Recorder feature of AV Voice Changer Software Diamond. 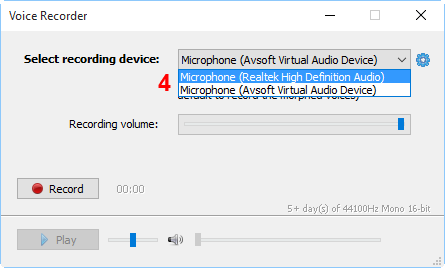 Do not be fooled by the name, you can totally record the files very easily and record in style even without having to learn how to use the software. No need for expensive recording devices, you are still able to produce exceptional records with just normal equipment and this software. There are several high-quality audio effects to apply to your voice and your background sound. 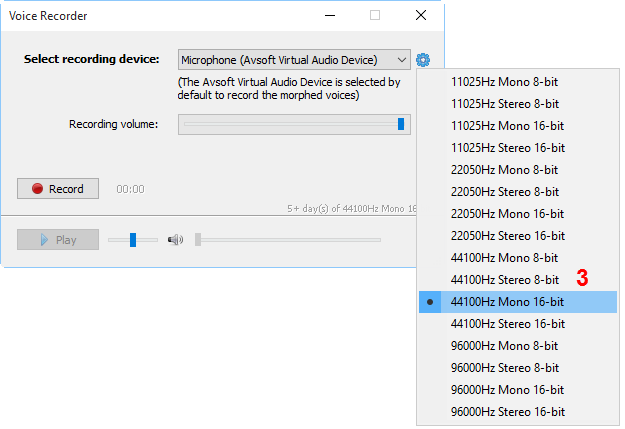 After recording, you can save them under any formats and even edit the audio file with Audio Editor. It is also possible to make a whole audio book with a good story. And then, publish your work online so everyone can hear and give you their compliments. 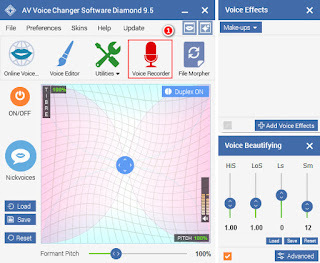 - On AV Voice Changer Software Diamond 9.5's main panel, click Voice Recorder feature (1). - Click on Select recording device drop down list. 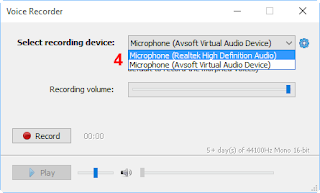 - Choose Microphone (Avsoft Virtual Audio Device) (4) to record with your morphed voice. 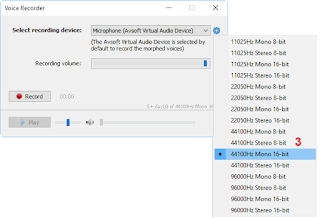 The other option is for normal voice recording. - Not just a normal recording section, you can record under the voice of Morgan Freeman, President Obama or anyone you like. It is possible to change your voice to the opposite gender perfectly and moreover, you can even record an audio book. 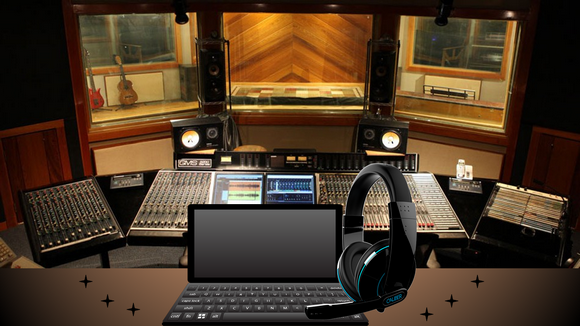 - Prepare your voice with the software. - Hit the Record button (5) when you are satisfied with the voice.